MIT offers a first-rate, multidisciplinary graduate education in operations research (OR) and analytics. In fact, our Operations Research Center (ORC) has been at the forefront of the field for more than 60 years. Today, we stand on a foundation of proven excellence, providing a rigorous curriculum that balances theory and practice to a student body committed to positively impacting the world. And we pride ourselves on the success of our graduates, who are key instructors and decision-makers at organizations around the world. At the ORC, you’ll have the opportunity to design a program that fits your individual interests and goals. You’ll study among our uniquely supportive community of students and award-winning faculty from diverse academic disciplines. And you’ll conduct hands-on research with real-world implications—all in the creative, vibrant setting of MIT, one of the world’s top research universities. 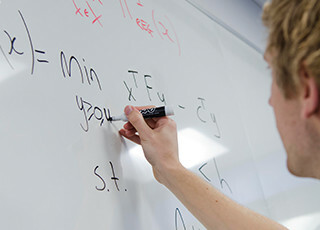 Part of the mission of the ORC is to Impact the world by educating students in the fields of Operations Research and Analytics who will become leaders in either academia or industry.